White Lung. Piper Ferguson photo. 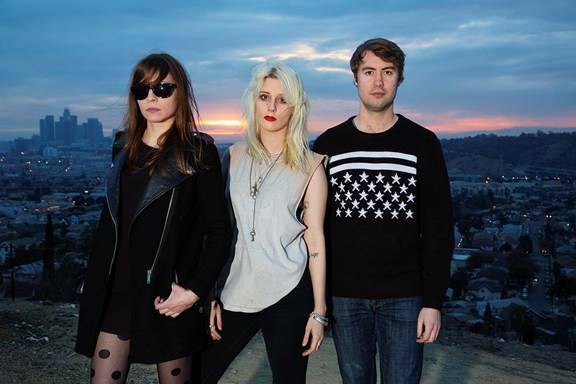 White Lung has just released a video for their song “Below”. It’s the third single, following “Hungry” and “Kiss Me When I Bleed”, off the Vancouver band’s third album, Paradise. The album is scheduled for release May 6. Richard Bates Jr. directed the video, which features the band playing to an almost-empty theatre save for a few Marilyn Monroe impersonators, one of whom is model AnnaLynne McCord. 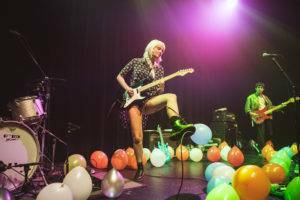 This entry was posted in Features, videos and tagged Vancouver bands, Vancouver music videos, Vancouver new music, White Lung. Bookmark the permalink.